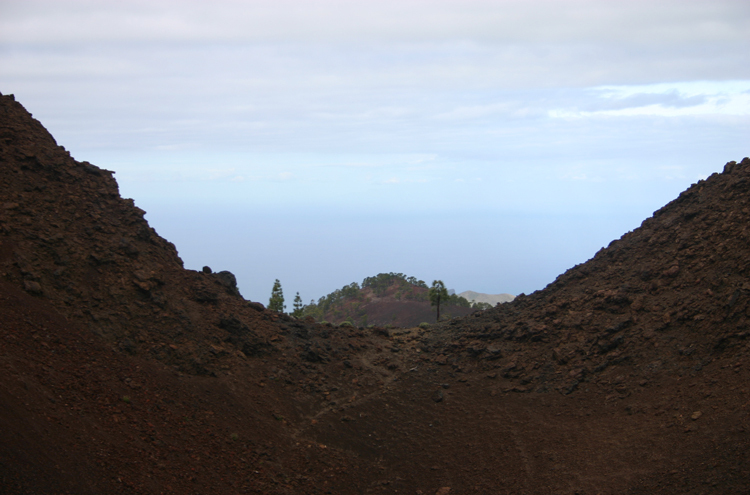 A gem: a perfect little cindery crater just to the northwest of Las Canadas on Tenerife. 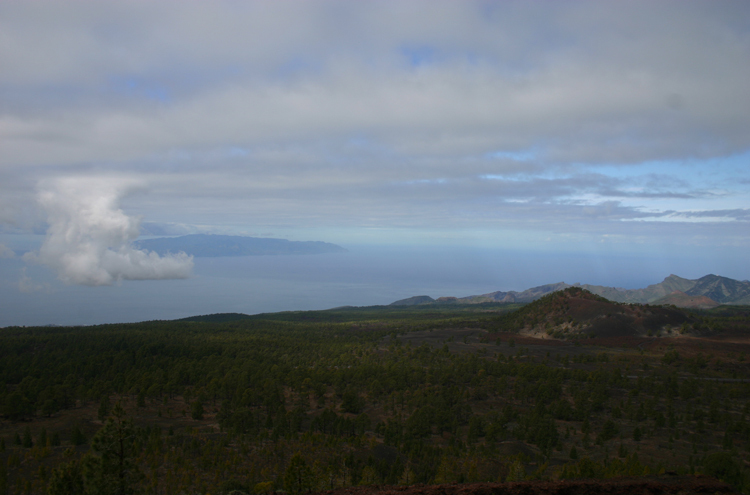 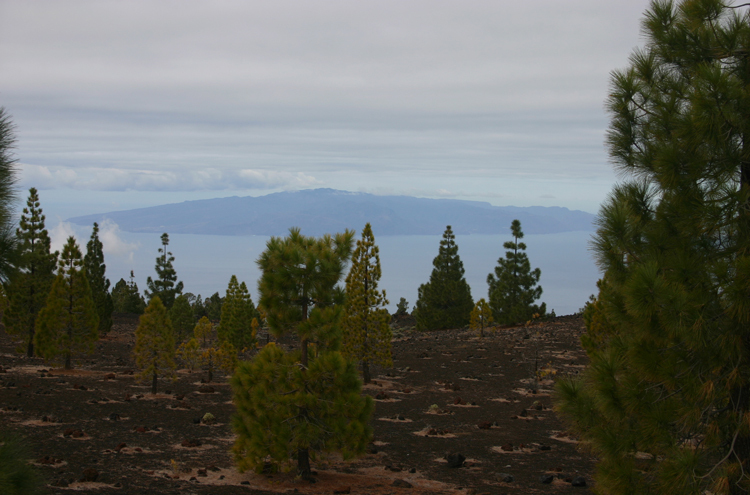 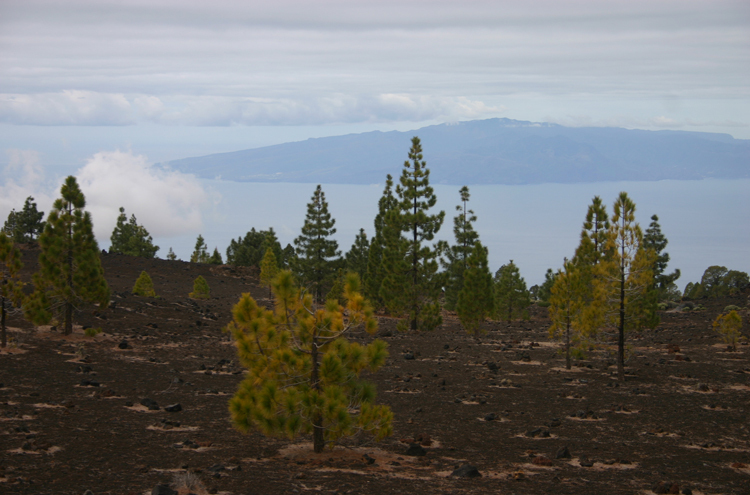 Fascinating, smoothly undulating black landscape, lovely views across the channel to La Gomera. 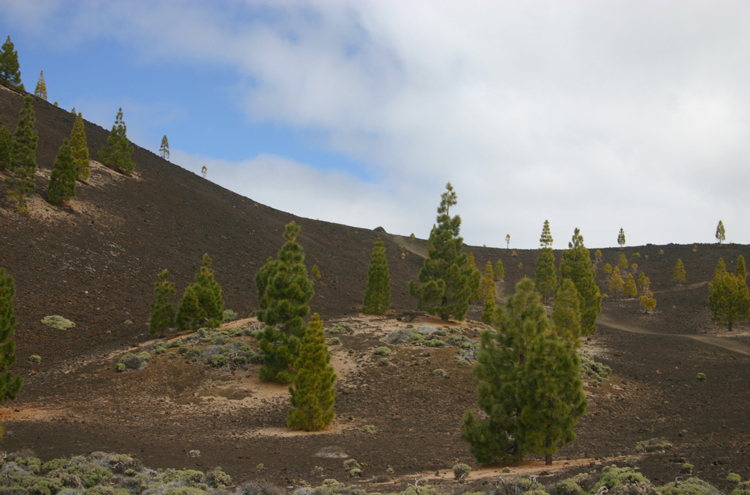 This is rather a perfect little volcano, embarrassingly close to the road north-west a couple of kilometres out of Las Canadas. 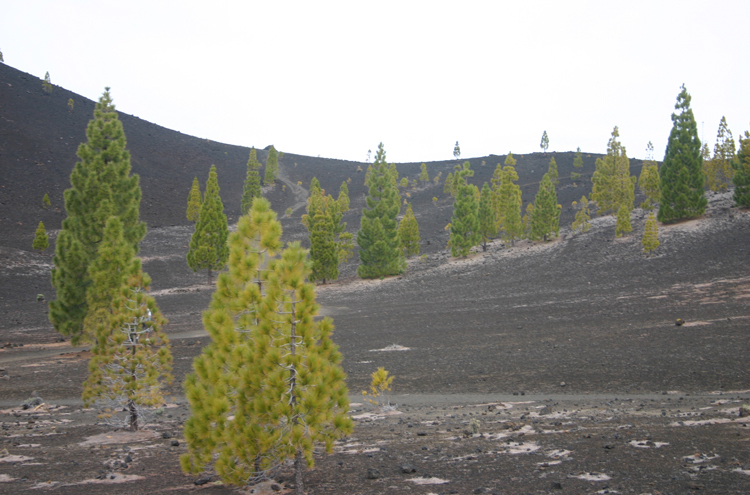 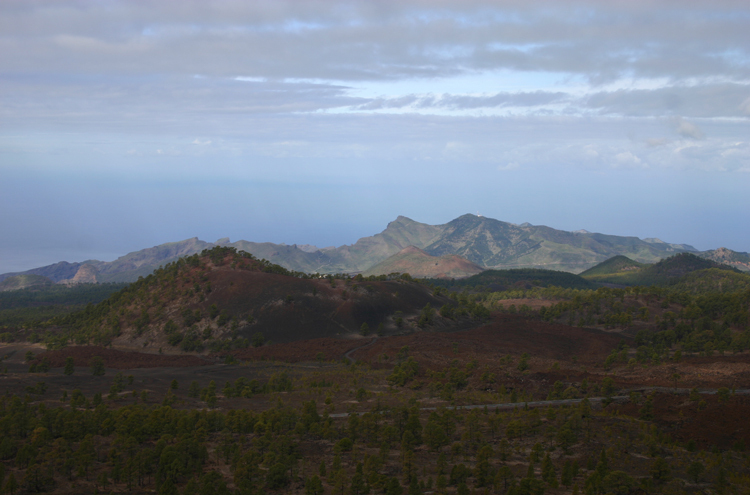 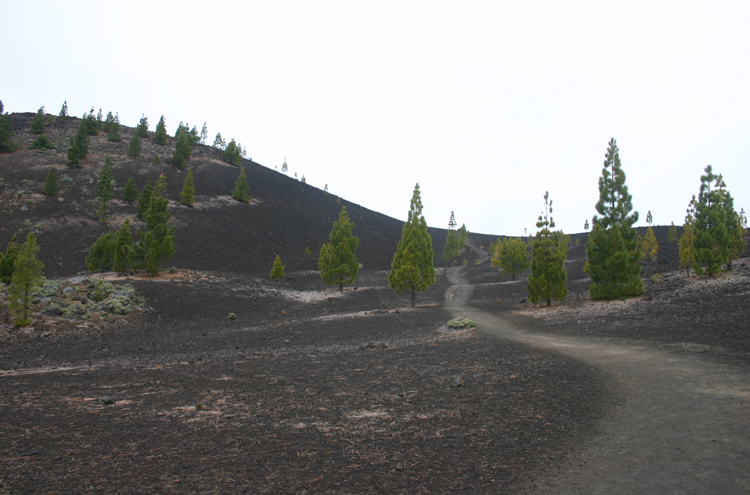 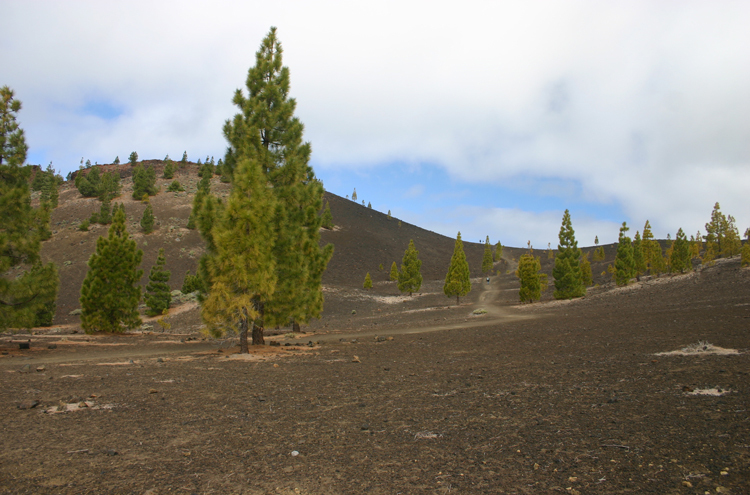 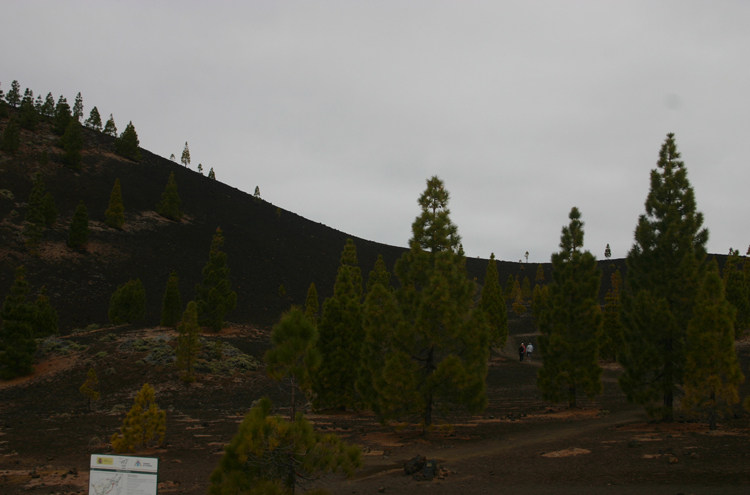 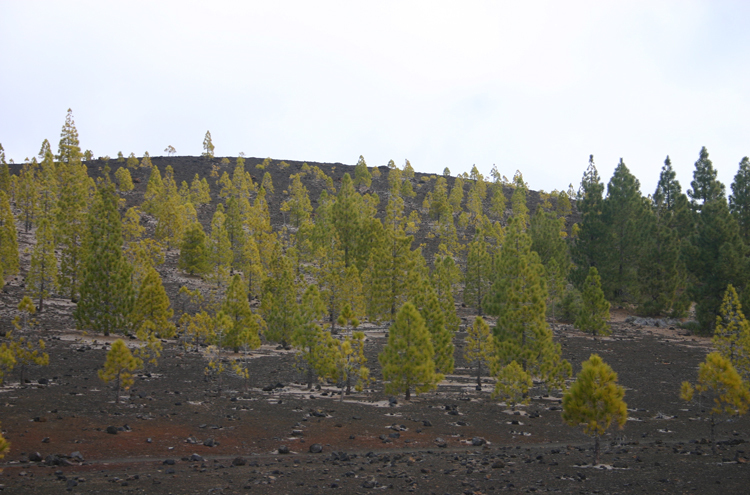 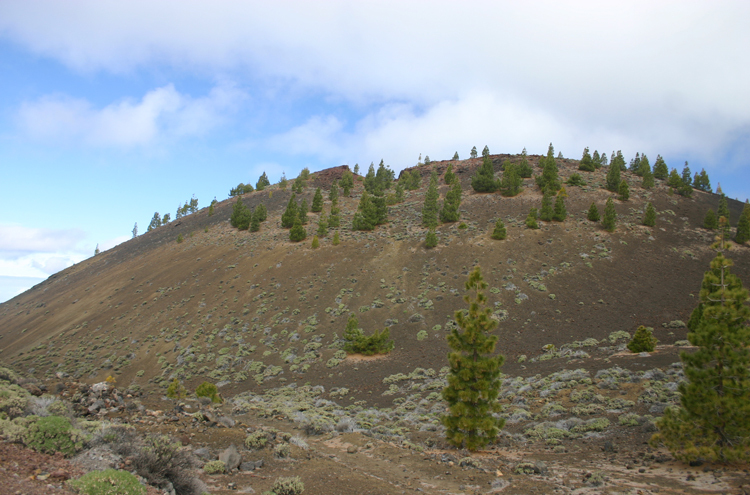 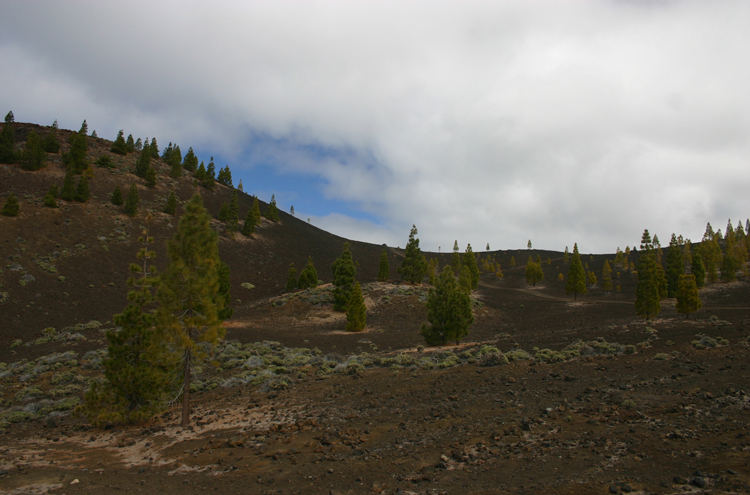 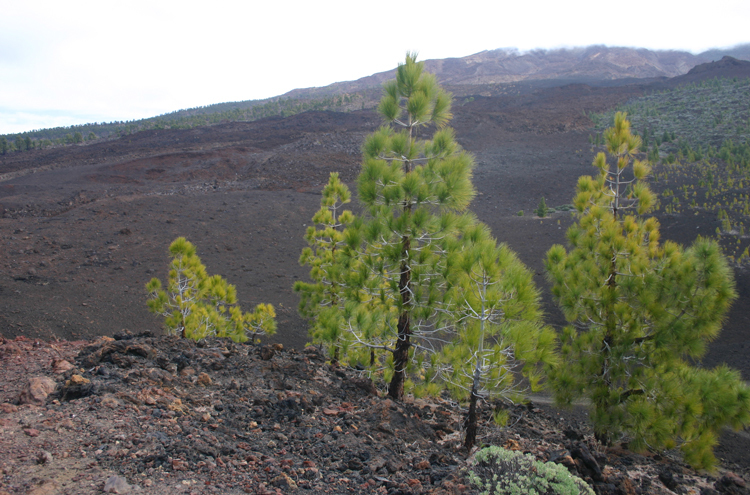 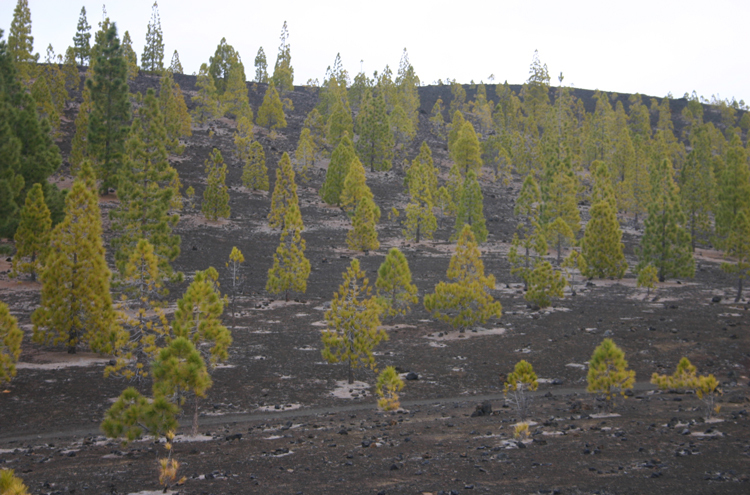 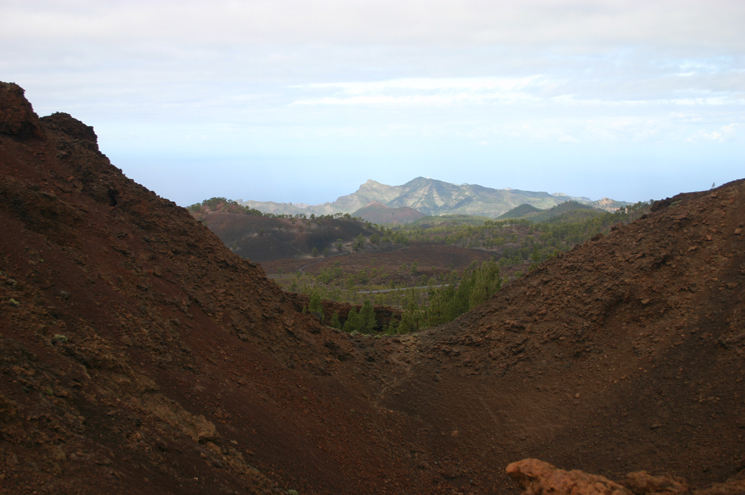 The landscape is of black cinders with lava bombs and rocks, an area of smooth undulations rather than the crazed lava flows of much of upland Tenerife. 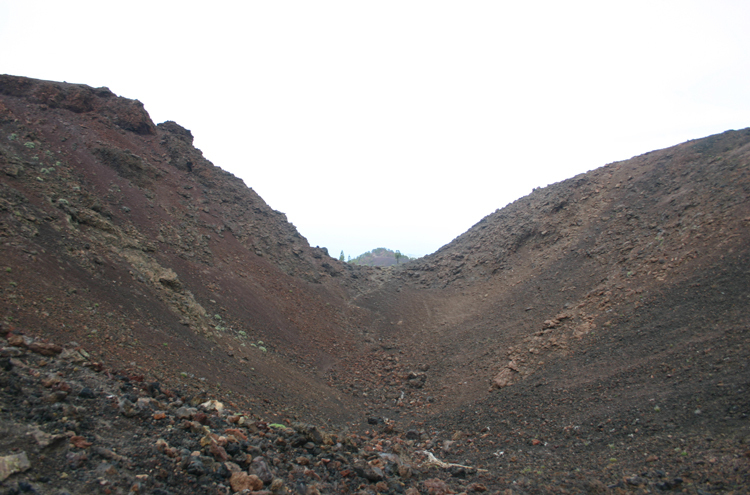 The volcano has blown an almost perfect crater. 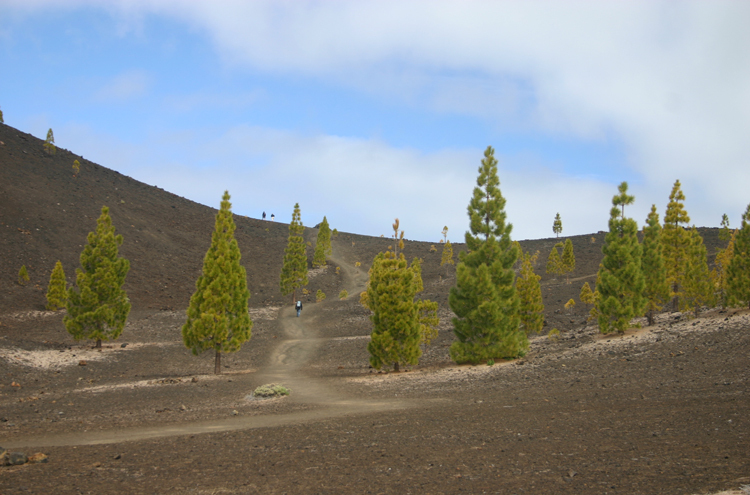 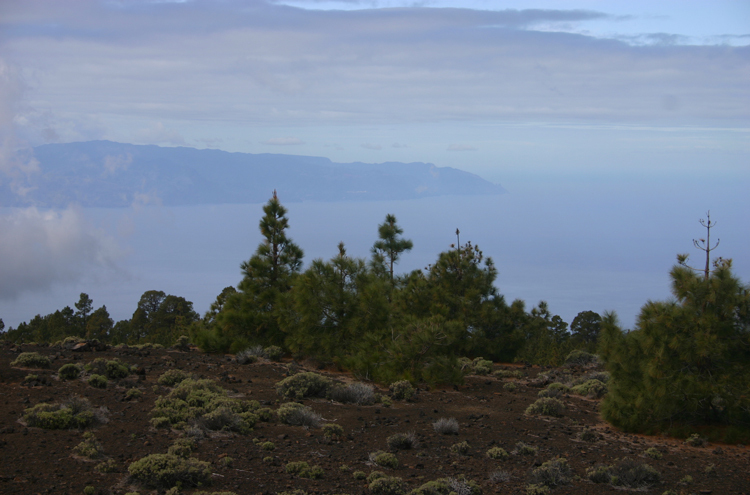 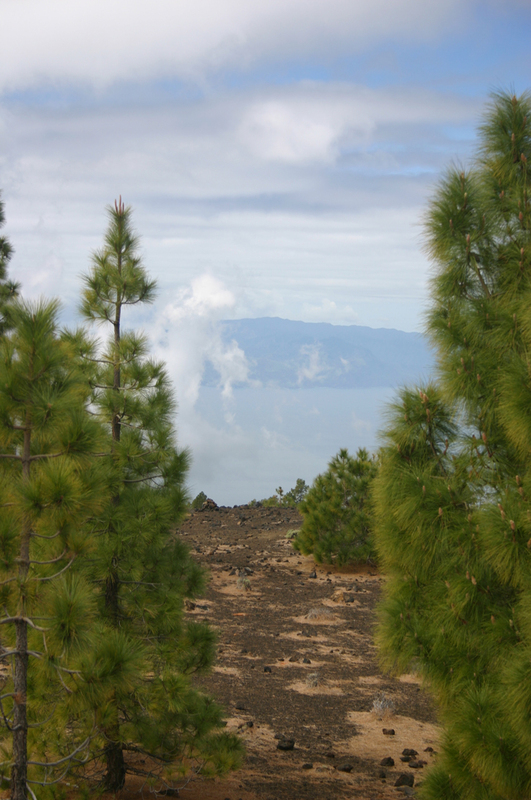 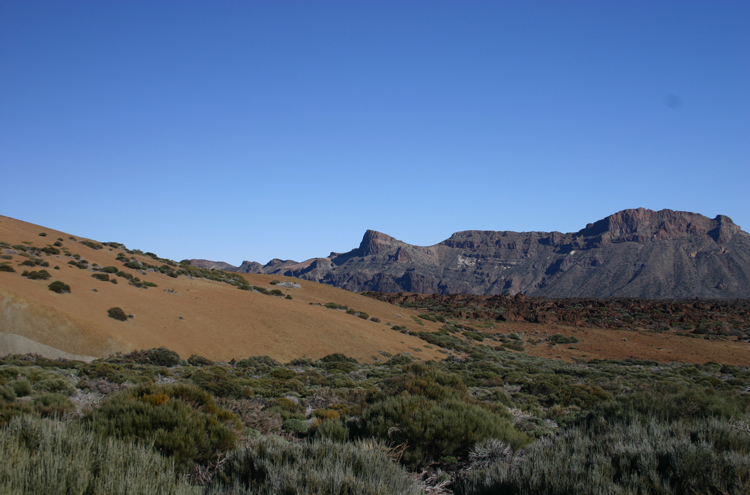 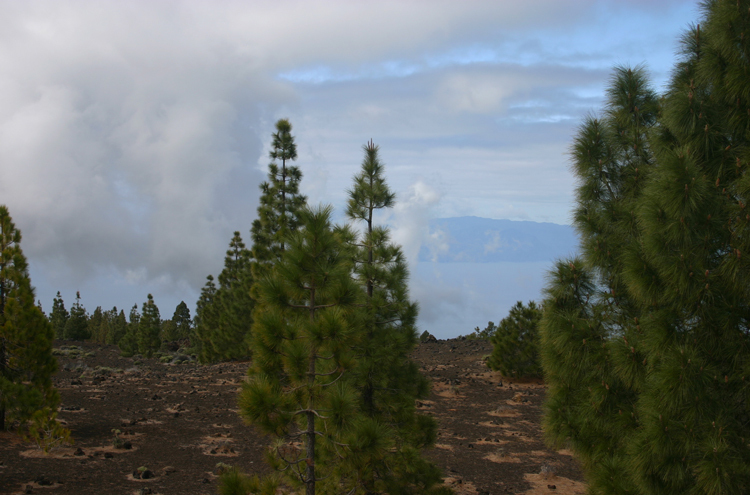 You can walk onto the rim and into the crater in perhaps half an hour: it can be done in sandals, and would hardly qualify as a real walk but for the perfection of its landscape - pale yellow Canary pines growing from the dark purple-mauve folds; the sea and the island of La Gomera thousands of feet below and the Pico Viejos upper ridges looming far above - and the fact that you can extend the walk into a more respectable couple of hours with a circuit round the black cindery volcanic hill high up the slope. 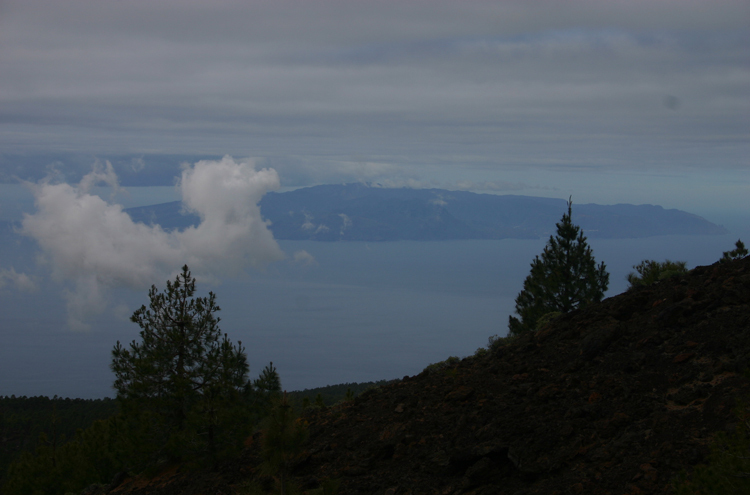 A gem. 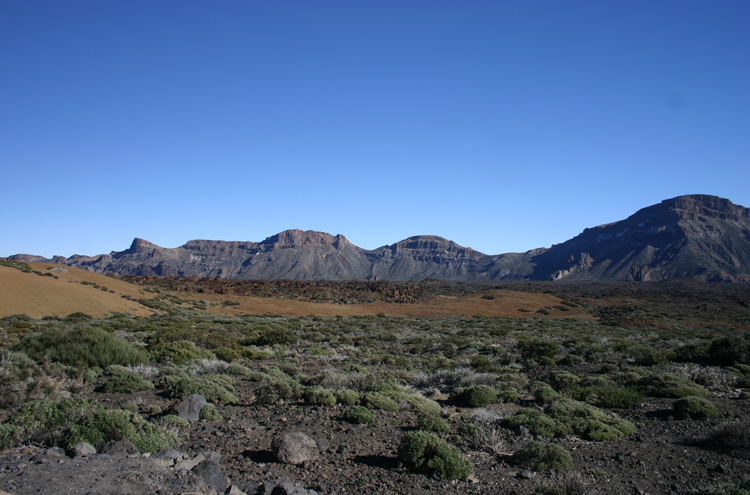 See Las Canadas/ El Tiede for general and practical information relating to this walk.